When you would ask me few years back, what I think about Aspinal of London, this would probably be my answer: ” Very traditional English. Slightly boring designs and a little bit too old.” If you would ask me today, however, my answer would be quite different. Last few seasons I seem to find amazing bags, great colours and new shapes. And the new bag collection is a perfect example of a brand focusing on young chic and trendy women. This fall winter collection is really cool, edgy and colourful. And I am so excited to show you my favourite pieces here. 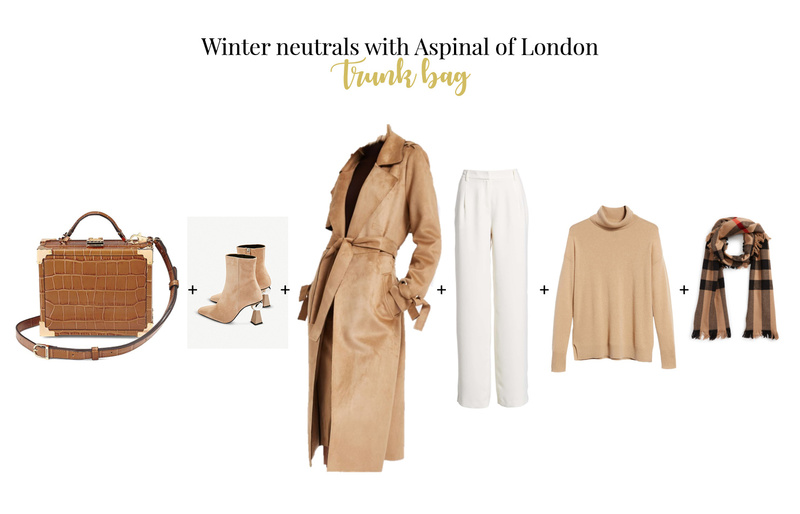 I chose 10 best Aspinal of London bags that will upgrade every outfit. First let me introduce you four bags for the Giles Collection. 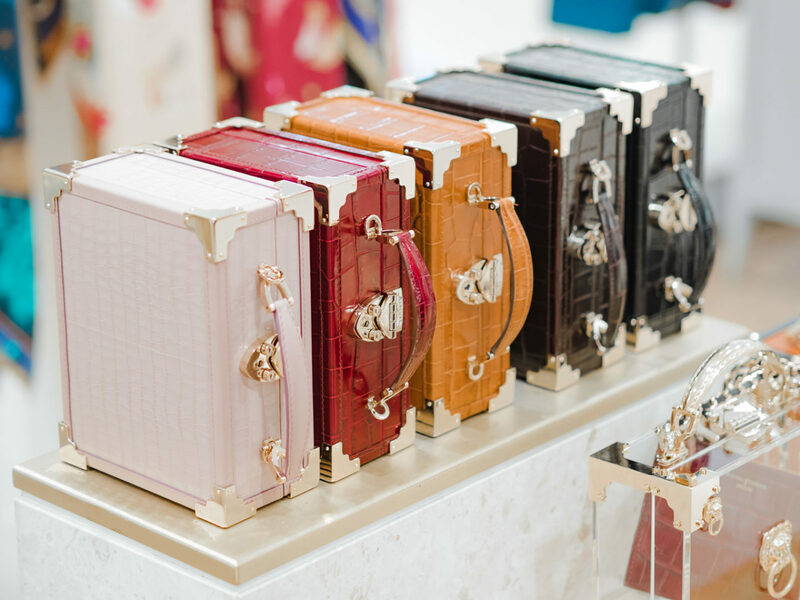 These bags were designed by British couture designer, Giles Deacon and not only he designed a number of bags but also few other amazing accessories, that are worth seeing. From his collection I chose trunk cases and a circle bag (hat box bag). Trunk bags are huge hit and even though they are really quite small, you can fit your small wallet and an iPhone in it. The prices are a bit higher than the other trunk bags you will see bellow. Two of the bags have beautiful hand embroidered feather motif inspired by the Aspinal of London logo. The price for these is £795. The other bag features illustrations of the “Aspinal girls” on the saffiano leather. This one costs £595. As I love round bags, I couldn’t miss this gorgeous green piece. I like the wooden effect and the price £550. Next, here are 3 of my favourites mini trunks. I know, there are maybe far too many mini trunks in this post, but honestly, they are worthy of their place here. All these mini trunks are same in size and you can personalise them with your initials or full name (around £15-20 extra). The price for each of these is £450. Pretty good price for a luxury look, don’t you think? To finish with these super cute trunk bags, here is my last piece. Micro trunk clutch. This one is a bit smaller than the previous ones, but you will still be able to fit your iPhone. You might have difficulty with a wallet, but I am sure you will find a solution. The price for this cutie is £450. I also happen to like this signature Florence Frame bag. It reminds me of a handbag my grand mother had in her closet. However the shiny black croc effect makes this bag look uber luxurious. The price is £895. 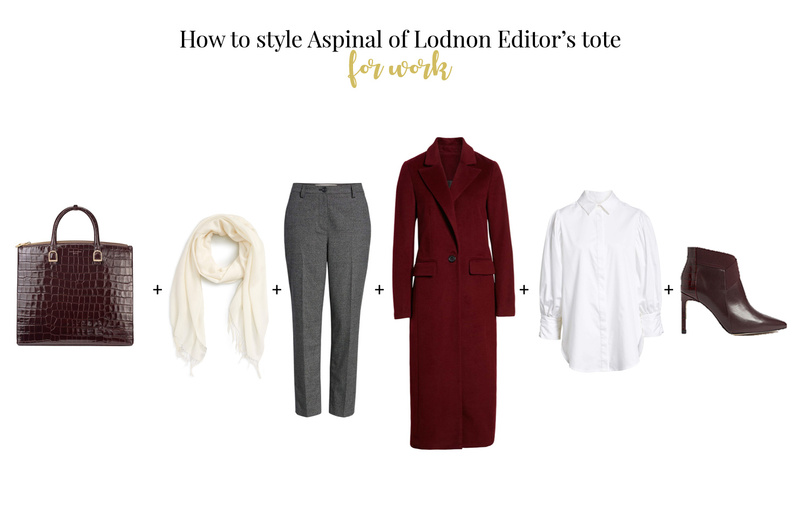 My last choice is this Editor Tote bag. It is quite difficult to find a bag that would have a luxury feel and it would be big enough to comfortably place a computer in it. This bag has the space and therefore great if you want to look stylish for the day in the office. The price for this bag is £850. If you want to see other bags that are great for work, red my recent post here. 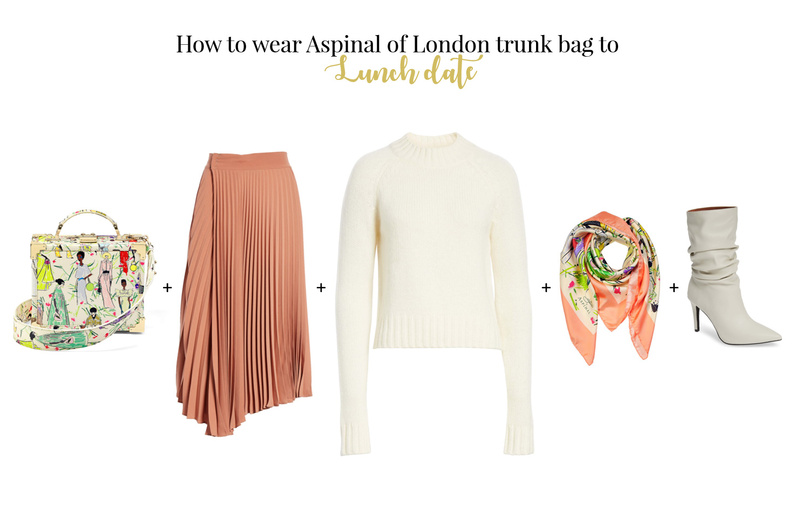 So what do you think of the new Aspinal of London bag collection? Isn’t it beautiful? Which bag is you favourite? Next Post Afternoon tea at Sketch Gallery in London. Is it worth the price? They’re all gorgeous. Can’t go wrong with these classics. I know, right? I think this collection is really beautiful.